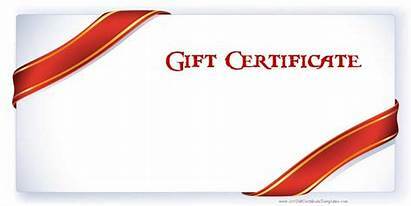 We have massage therapy Gift Certificates available for all occasions! Take care of your entire gift list for Birthdays, Anniversary, Holidays, Bridal, Prenatal, New Mommy, Congratulations, Thank you, Staff Appreciation, Client Appreciation, Retirement Gift, Recovery from an illness, Graduation Gift, I'm Sorry, Hostess Gift, and to Get Out Of The Doghouse. If you choose, we can also include a 15 minute complimentary Chiropractic consultation. All Gift Certificates come elegantly gift wrapped. Massage Packages Buy 4 get 1 *FREE*! Therapeutic Massage - Customized just for you to target knots and release chronic muscle tension. Prenatal Massage – Customized for the Mommy to be to reduce the physical strain associated with pregnancy. Also gives the Mommy to be a chance to indulge in some pampering before giving birth. *Packages must be used within 12 months of purchase date. They can only be used by one person and they must be paid in full at time of purchase. Do you suffer from disc pain, sciatica, or pain down your arm? If so, non-surgical Spinal Decompression may be the answer! Did you know that we offer non-surgical Spinal Decompression for the neck and low back? Many people think that medication, injections, and surgery are their only options for disc herniations. We offer pain free non-surgical options that are effective and safe. Spinal Decompression gets to the ROOT CAUSE of the PAIN. Instead of a temporary fix that can be dangerous and have side effects, Spinal Decompression addresses what is causing the pain and may be able fix it. CALL 703-293-2939 TODAY to schedule an appointment with Dr. Taschler. If you have a loved one or co-worker that you think may be a good candidate for Spinal Decompression have them call for a FREE CONSULTATION to see if and how we can help them. Print our a FREE Chriopractic Consultation coupon below. Please click here http://www.fairfaxchiropractor.com/index.php?p=528559 for additional information about Spinal Decompression. Give the gift of health for FREE! Just print out this coupon and give it to a friend, family member, and/or coworker. First-time patients can receive a free Consultation. That's a $75.00 value! But hurry, this offer is for a limited time only. Does not include examination or treatment. 1. Print this coupon page. 2. Call (703) 293-2939 to schedule a convenient appointment for a Chiropractic Consultation. *New patients only. Coupon must be presented at time of first visit. Does not include treatment. Dr. Taschler’s passion for Chiropractic started in her early twenties after getting amazing results from her Chiropractor. Suffering from headaches and migraines since childhood, she needed a natural and drug free solution. After experiencing life-changing relief she wanted to be able to help others get out of pain and experience a healthy lifestyle. Dr. Taschler practices in Fairfax, VA and specializes in the natural and drug-free treatment of headaches and migraines, TMJ, posture, and most neuromuscular and skeletal issues. Through formal education and trial and error she has developed a headache & migraine protocol that has excellent results. At Taschler Spine & Rehab they address a full body approach and offer Chiropractic, Rehabilitation, and Massage Therapy. Dr. Taschler was named Top Chiropractor by Northern Virginia Magazine. You will find her at the office with her adorable dog a Malitpoo named Savannah. To make an appointment with Dr. Taschler contact Taschler Spine & Rehab by calling 703-293-2939. Make an appointment for a FREE 15-minute consultation to see how she can help you. Her office will bill most health insurance companies. For more information, please visit www.taschlerspineandrehab.com. Please know that your Taschler Spine & Rehab family is here to support you in any way that we can. Call us today at 703-293-2939. We look forward to helping you! Did you know that if medically necessary, you can use your HSA for Massage Therapy? Call 703-293-2939 today to make your appointment. *Make sure to check out our "Current Articles" at the end of this page. Got headaches? We have the answer! Did you know Dr. Jennifer Taschler, is a Chiropractor and Rehab specialist with an emphasis on the natural and drug-free treatment of headaches and migraines in Fairfax, VA? For years Dr. Taschler suffered daily with headaches and debilitating Migraines. After going the medication route and suffering for years, she desperately asked her neurologist for alternatives. Fortunately, he asked her to see a Chiropractor for treatment of her headaches and Migraines. The treatments offered so much relief that Dr. Taschler attended Chiropractic School so that she could help others like her Chiropractor had helped her. If you or someone you love is suffering with headaches or migraines contact Taschler Spine & Rehab today. Call 703-293-2939 to set up your FREE headache and migraine evaluation. Please visit our website at www.taschlerspineandrehab.com to obtain additional information. Dr. Taschler is your headache DOC! 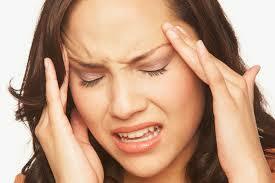 Do any of your friends suffer from headaches and migraines? We have the answer naturally! Dr. Taschler specializes in the natural and drug free treatment of headaches and migraines. Call 703-293-2939 now for your FREE consultation and to find out if you qualify for our special protocol. Dr. Taschler is your headache DOC! To learn more about Dr. Taschler and how her specialized protocol can help with your headaches, call 703-293-2939 for you FREE 10 minute consultation. Please visit our website. "Before beginning treatment at Taschler Spine & Rehab, I suffered from painful headaches multiple times per week. With Dr. Taschler's help, the frequency and intensity of my headaches has reduced significantly! Now my headaches are a rarity! Thank you Dr. Taschler!" Sara F.
If you or someone you love is suffering from headaches, migraines, or TMJ dysfunction contact Taschler Spine & Rehab today. Call now to set up your FREE consultation with Dr. Taschler. Please visit our website at www.taschlerspineandrehab.com to obtain additional information. We bill most major Health Insurance and Auto Accident cases. To free yourself and the ones you love from pain give us a call today at 703-293-2939! Make an appointment with Dr. Taschler today and let us help you with a healthy lifestyle. Call 703-293-2939. Once on our Facebook page click the thumbs up icon with "Like" next to it. I always ask my new patients why they have come to receive chiropractic care. We all know chiropractic is not a quick fix, but a commitment to make important changes in the body. Overall, the why is for the patient to live a healthier and pain free life. But the real why that we here from most patients is to enable them to be more active for their children or grandchildren, to be able to live a health more active lifestyle, be a more active spouse, and improve overall health. Think about your why and why is it so important to have a healthier, happier, pain free life. Call 703-293-2939 now for your FREE 10 minute chiropractic consultation to see if, how, and why we can help you. issues, knee, foot, & ankle issues, and most sports injuries. Time For FREE Consults for friends and family! Dr. Taschler would love to help your friends and family. Did you know we accept most health insurance plans? For as little as a co-pay your friends and family can find relief from their pain. Dr. Taschler is offering your friends and family a FREE 15 minute complimentary consult (Exam not included.) This is one-on-one time with the doctor to see if and how she can help. Call 703-293-2939 today and we will determine your insurance benefits the same day. Correcting your sleeping position can make huge improvements in your neck and back health. There are three key essentials – sleep on a proper mattress, make sure you sleep on your side or back and not your stomach, and make sure your head is properly supported at the right height with the right pillow.The goal to a sound sleep is ‘Spinal Alignment’. Because you sleep on your back, side, or both, the pillow we recommend was created to work for each sleeping position. The ergonomic design offers correct support and stability in sleeping posture. The result is a more sound sleep and less tendency to wake with pain, stiffness and many of the symptoms resulting from lack of support. It is therapy while you sleep! Call our office today for a FREE pillow analysis. Time for a FREE Massage! During the month of May refer a new Chiropractic patient to Dr. Taschler and after their second visit receive a FREE 25 minute massage. We accept most health insurance. As always thank you for trusting us with your healthcare and referring us your friends and family. Who needs a Chiropractor or Rehab? If you have muscle, nerve, or joint pain, chances are a Chiropractor could help you. Chiropractors are specialist in the care of bones, nerves, muscles, and connective tissues, which makes up almost 60% of your body. Chiropractic can help with pain effectively and safely without the use of drugs or surgery. Finding a great Chiropractor who can provide spinal adjustments, nutritional advice, exercise recommendations, and other methods of treatment based on your particular needs will help with your health concerns. Chiropractic techniques treat most neck & back pain, headaches, shoulder, elbow, & wrist pain, knee, foot, & ankle pain, disc issues, whiplash, and many other ailments. We have prepared a free report for you to help you choose a chiropractor. To receive your copy of this free report and to find out more information about how Chiropractic can help you, visit TASCHLERSPINEANDREHAB.COM.â¨ Have a happy and healthy month! MOST INSURANCES ACCEPTED FOR CHIROPRACTIC CARE! Dr. Taschler is a Chiropractor and Rehab Specialist in Fairfax, VA. She is the owner of Taschler Spine and Rehab. Taschler Spine and Rehab specializes in Chiropractic, Rehabilitation, and Massage Therapy. Got pain? We have the answer! Contact Taschler Spine and Rehab today by calling 703-293-2939 to make an appointment!